Let’s face it flying with a dog internationally is not fun, it’s a lot of work, and it’s stressful for both human and the furry friend. But flying with a dog doesn’t have to be painful. While this article focuses specifically on flying internationally with a dog, a lot of the information can be useful for flying with a dog domestically as well. I’ll never understand why the sub-two-year-old behind me screaming itself into exorcism can travel for free, yet I have to pay $300 to put my dog in a box and travel at the bottom of a plane. I feel like there should be a simple easy button that requests the airline to “put my dog and me in the seat in the front” without question, but that’s the way it is. Sora has flown with us on many occasions both domestically and internationally, and we’ve cataloged our helpful hints into a single blog post. Please keep in mind, since each airline has different rules (like Delta who made changes in March of 2018 and Alaska Airlines in May 2018), we are unable to provide detailed information for each individual airline, however, the guidelines below should help get you started and cover most of the planning. Now, if you’re planning to fly with your dog, you have no doubt heard about the recent stories involving United Airlines and pets, leaving you to wonder whether it is safe to fly with a dog. We think it is (both in cabin and as cargo), so long as you do extensive homework beforehand. Read Flying with a Dog: Is it Safe to learn how to book the safest possible flight for your dog. We’ve launched our first ebook, The Ultimate Flying with a Dog Guide and Checklist for download. You asked, and we listened. Join my mailing list to receive access to downloading the ebook. You can unsubscribe at anytime. You have successfully subscribed. The download link should be below. Before booking your flight, check with your vet to ensure that your dog is in good enough health to fly. You will be required to present health documentation multiple times throughout your journey proving that you dog is in good health and is up-to-date on their vaccinations (more about this below). Also know that some dog breeds, like pugs and other snub-nosed breed are not permitted to fly due to their body mechanics that cause respiratory failures. Before booking your appointment with your veterinarian, check with your local USDA (if you’re in the US, otherwise your local national agriculture government arm) to check that your vet is an accredited veterinarian. Also, ask whether they have worked with individuals traveling abroad with their pets. It can be quite complicated and working with a knowledgeable veterinarian will make for a smoother process. Country Specific Requirements – Will I Have to Quarantine My Dog? The most frequently asked question we receive from people about traveling with a dog internationally is whether we had to place her in quarantine, and for how long. It seems a common misconception that when one travels with a dog that it must face a quarantine period. Fortunately, for those of us who wish to take their pups along on their travels, only a handful countries require quarantine. Rabies-free nations generally impose the quarantine period. Depending on the origin of the country (meaning the country from which your dog enters, not the country where your dog resides with you pre-travel), rabies-free nations may deny entry if you enter from a nation with high incidents of rabies. Double check which zone your current country resides in before traveling. We’ve been surprised to learn a country we are in is considered high risk rabies (like Turkey!). This requires a titer test from a certified location and then you must wait 3 months after the results come back. Pet Passport, if available otherwise paper certificates/documentation like rabies shot. This all sounds like a lot, and initially it is, but once you’ve gone through the process once, you have most of what you need to take your pup to other countries. The most important thing to remember is to look ahead at where you will be traveling and understand the entry requirements for each individual country. Pet Travel is a great place to start, but always supplement the information by going to the destination country’s pet import policies and emailing the right contacts. Occasionally, we cannot find anyone to email and we assume the information on the destination government website is correct. Some countries will give you a phone and fax number to call and fax your notice of entry to the airport veterinarians who will check your dog’s credentials after the flight. Make this phone call 24 hours before you land. Majority of the time we have had no contact before our arrival and it really depends on the destination. Norway, for example was particularly specific on their rules of calling in advance. Call your airline before booking your flight to understand their rules about pets and ensure that your dog will be allowed on that particular leg. Airlines can only accommodate a few animals per flight, so you want to get your request in early. If your dog is flying in the cargo, ask if the cargo area is air-conditioned. This is essential to your dog’s health. Keep in mind that airlines enforce temperature restrictions and will not fly with a dog if the forecasted temperature exceeds 85℉ or drops below 45℉. It’s best to find a flight that arrives early in the morning or late at night. Many airlines require a minimum three-hour layover for those traveling with dogs as cargo. Be sure to check your individual airline’s rules about dogs and layovers. During the layover, the staff sometimes takes the animals to a dog area where they are walked, fed, given water, and go to the bathroom in between flights. Confirm this is the case with your airline (we can confirm that Lufthansa offers this service). If flying cabin, you can let your pet stretch it’s legs while in a layover. When Sora has flown in the cabin with us, we make sure we have puppy pads ready to go so she can pee in the airport with quick clean up. Most airports in the US now have pet relief areas, so just check with staff once you exit the gate to inquire the nearest location. Once you’ve booked your flight, call again and make sure they know that you will be bringing a dog on your flight. You can never call them too often. Before booking your flight for your large dog who will be flying in cargo, be sure to ask these 14 questions. Which Dog Kennel is Needed for Flying? Airlines have very specific requirements for kennels, depending on the size of your dog. Make sure to follow these guidelines exactly. They can refuse your dog if the kennel does not meet their guidelines. Lufthansa has a great PDF that specifies the exact rules for flying with your dog. Make sure to go over this a few times before and leading up to your departure. Most airlines require water and feeding bowls attached to the inside of the kennel. We like the MidWest Homes for Pets Snap'y Fit Stainless Steel Food Bowl / Pet Bowl mounted to the inside with wing nuts. This ensures the bowls will stay attached. We also ensured Sora felt safe in her kennel leading up to our flight. We purchased the kennel a week before departure, and fed her inside the kennel so she would associate the kennel with being a positive place. It’s not much different than crate training. To ensure she doesn’t get uncomfortable if she has pee during the flight, we line the kennel with her favorite dog bed and top it with with puppy pads. We like the basic no-frills puppy pads (no need to spend a lot of money as they’re all the same) and highly recommend the Kurgo Loft Wander bed or Ruffwear Highlands Bed as they fit well inside the kennel. As for the kennel itself, make sure to purchase one that is International Air Transport Association (IATA) certified. These kennels are designed for flying with a dog and met all the criteria. Don’t purchase a random kennel off Craigslist and think you can fly with it. The kennel must meet specific rules to ensure the dog’s safety. We found IATA to be the best place for helpful information on kennels and country-specific rules. When purchasing the kennel, measure your dog according to the IATA sizes and choose the kennel size that best fits your dog. The kennel sizes run in 4 categories and are standardized based on size. You can find the size needed by using the Guidance for Dimensions of Container at IATA. The IATA provides all the information you need to find the correct kennel. Kennels can be expensive and it seems wasteful to purchase a one-time use kennel, but finding a rental is tough, especially if you’re only flying with a dog one-way. We found that buying one in advance online saved nearly 50% than going to the corner pet store. Just make sure to measure your pet in advance to know the correct size. Buying Recommendation: Buy a kennel that is well known for quality and make sure it is approved for airlines. We like the following kennels depending on the size of your dog. After a lot of research, we put together a list of the best dog kennels for flying. Below are some of the quick highlights. This is what we use as it has wheels on the bottom which are fantastic for pushing the kennel through the airport. This is helpful for when it’s impossible to carry the kennel yourself. People love this kennel. The easy-to-use color coding system to makes sure you have the right size kennel for your dog. Plus, Petmate is well known for designing high quality kennels. Inexpensive and highly reviewed by Amazon Basics. This no frills carrier gets the job done and goes light on the wallet. Fantastic under seat kennel for dogs and cats. It has a side section that zips open to create more space for the furry friend and has a hard case to protect the animal as well. Nearly 4.5/5 stars an Amazon and people seem to love them. Loads of ventilation and shoulder strap add versatility to this kennel. Highly rated and fully collapsible for storage. The kennel also has a removable comfort pad, and is expandable on the sides for extra space. This is the kennel to use if your dog likes to chew, is anxious nervous, or destructive. It’s made from aluminium in the USA, folds down easily, and is as secure as it gets. It’s not cheap, but is worth it if your dog has a history of difficult travel. Important, do not forget the cable ties! It’s important to also have the airline secure the kennel door with cable ties. This is a requirement and in our experience, the airport staff insist on having the cable ties done themselves. These Helping Hand FQ50214 Cable Ties 8' Quick Release 15 are reusable and highly recommended. Flying on a full stomach might upset your dog, so it is recommended not to feed your dog more than four hours prior to the flight. Continue to give your dog water leading up to takeoff, and make sure to give him a walk outside the terminal before heading through security to make sure he’s eliminated as much as possible. We also give Sora a bit of water when the captain announces that we’ll be landing in 20 minutes. Buying Recommendation: Bring along a small portable water bowl so your pup has access to water at any time. We love both the Kurgo Zippy Bowl and the Dexas Collapsible Travel Bowl. Don’t be afraid to ask the staff at the gate to check on the status of your dog. We asked before each flight to ensure Sora made it onto the plane. You can also ask during a layover with any attendant from your airline. Be sure to let the captain and the flight attendants know that you are traveling with your dog in cargo, so they are aware in case anything goes wrong with equipment like air conditioning or cabin pressure during the flight. On one particular flight, Sora came out on the conveyor belt with the rest of the luggage. Resist the urge to let your dog out until you have cleared customs, airport staff will tell you to just put her back in the kennel. Your dog will likely be scared, overwhelmed, and disoriented. Give the dog some calming verbal praise and if your dog is food motivated, a few dog treats through their kennel. At customs clearance, they will ask for all of your paperwork, stamp it, and then hopefully you’ll be on your way. Once outside of the airport doors, let that pup out to go potty and do some down dogs! Buying Recommendation: Have a treat pouch ready to reward your dog positively. We like the Kurgo Go Stuff-It Dog Treat Bag as the carabiner can clip to your pants. Feeling overwhelmed? Check out our Ultimate Flying with a Dog Guide and Checklist. As noted above, we’ve launched our first ebook,The Ultimate Flying with a Dog Guide and Checklist for download. This guide is based on the common questions we get from our readers. Still confused on how to fly internationally with a dog? Need some help on understanding import/export paperwork for your dog? We got you covered. We offer consulting for those needing assistance planning trips abroad with their pets. Contact us for more information. Do you know if some airlines allow smaller dogs in with carry on, or are they always required to go in the hold? Sorry for the delayed reply Amelia – have been without WiFi for a very long time! How lovely that you’re thinking of getting a dog! I think the “is it fair” part really depends on the dog. For Sora, travel has helped her with some behavioral issues tremendously. She used to be very nervous around new people and now she loves being pet by new friends. If your dog is highly active and you know that traveling won’t allow you to devote the time he needs for exercise, then yes, perhaps it is unfair, but in our experience and in the experience of others with whom we have spoken, our dogs are quite happy to be with us 24/7. As far as small dogs on planes, I think the general rule is that dogs weighting under 8kg/15lb are permitted on board the plane in a carrier. 8kg is a pretty small dog! Hello! I thought I’d chime in, as I travel internationally with a small dog (that’s what my website is about). I agree that initially, it is a pain to get your dog international-ready, but once you do it, you have a much better idea of what to do the next time, and the whole process is much smoother. I personally would be a wreck the entire plane flight if I had a dog below the plane (plus it can get very expensive), so I chose to rescue a small dog that could fly in-cabin with me. He is 17 lb (~8kg) and does great! Traveling (and preparing for traveling) has really helped with his social skills. And yes, he is about the size of a large cat. I grew up with large dogs and never thought I could deal with a small dog, but he has been a wonderful surprise in how capable and adaptable he is. There are a ton of plusses to traveling with a small dog, like not having to pay for train/bus/ferry tickets if he travels in his carrier. If you are looking at dogs, I’d recommend looking at smaller ones – there are plenty out there that make amazing pets! Good luck! Thanks so much for chiming in, Elena. I will have to check out your website! It’s definitely stressful to have Sora below, completely out of our control. Having a small dog certainly has its perks in terms of air travel (plus, your right, it’s muuuuuuuch cheaper, much, much cheaper). I can see how traveling with a small dog would make things infinitely easier – like you, I have had an aversion to small dogs, and also have come to learn that it all depends on the dog. Dogs of all sizes are lovable. Nice to meet you! Yes, I had my reservations, but, as you said, it depends a lot on the dog, and on training the dog. Unfortunately, the reason why a lot of them are so badly behaved is because people treat them differently than they do large dogs (though, of course, there are some dogs that are just difficult!). Because of this I was determined that my dog be well-behaved! Glad traveling has helped with Sora’s behavioral issues! It’s wonderful how travel can helps humans and dogs alike! Hello! quick question: if you have a small dog and bring him in the airplane cabin with you what do you do if he needs to potty after a long international flight and you have another layover? I know that if you check the pet as cargo the staff will let them out to potty but if you have your pet in the cabin with you what do you do in that situation? That’s a great question, Colleen! Some (very few) airports have a potty area for pets, but since most don’t, we brought puppy pads when we had a layover for Sora in Frankfurt. It took awhile, and she didn’t want to go, but eventually, she relented and went. We walked around a bit to get things moving and tried to find some corners or use the family restroom to get her to go. This is just for the US but could be helpful. This is SUPER helpful! Thank you for passing it along! I will include it in the main piece. We are traveling from San Diego to Israel with our German Shepherd this summer. Do you think a non-stop flight would be less stressful than a day or two layover in New York, and then continuing non-stop to Tel Aviv? Hi Ruvi, that’ll be a long flight with your pup! I personally think a layover will be better for your dog. That will give him/her the opportunity to stretch and have a bathroom break. Definitely talk to your vet for advice as well. Find a travel vet and see what they suggest, as they are experts on this topic. Hi. How is the process of reentry into the states? I am planning a trip to japan for 2 and a half weeks and hopefully will take our dog, but I want to make sure we dont get caught up on reentry. On the entry side it seems like we will be faced with a 12 hr quarantine. Do you know if that is generally a tramatic experience or are they well taken care of? The US was easy peasy. Coming from Colombia, we had to get updated rabies, flea and tick, and heartworm, plus have the vet certify that she did not have screw worm. We needed a health certificate from a local vet, plus one from the government agriculture department (UDSA equivalent). They didn’t ask any questions or for her paperwork upon entry. We haven’t had to put Sora in quarantine, but 12 isn’t that long compared to others. I’m sure your pup will be scared and wondering what’s going on. Call ahead of time and ask what it’s like for them. See if you can include a toy or blanket so that he feels more comfortable and has a reminder of something familiar. I’ll be interested to know how it goes, as we are thinking of Japan as a future destination! Good luck! hello jen how can i make my dog luna an ESA pet for long distance traveling also i was curious to know how i can take my dog on a plane with me on a international flight with out it being tramatic for my dog and what paper work is needed. We have registered Sora as an ESA because Dave has panic attacks, so his doctor gave him a note. If to take your dog on flights to and from the USA in the cabin, your pet must be a support animal. It’s not the only way though, we’ve flown with Sora in the cargo hold from Athens to Buenos Aires and she did just fine. There are plenty of ways to make this work. This was so helpful! I want to travel a lot but recently got an emotional support pet! Oh good! I’m so glad it could be of help for you. Sora is also an ESA, so if you have questions about that, feel free to reach out. hi! i’m taking my emotional support dog on a long flight from israel to pittsburgh and i was wondering what to do about the potty situation since she will be sitting in the cabin (and we do have a layover in iceland). * Make sure the dog goes potty outside the departing airport. Don’t pass security too early before the flight as the dog will have wait even longer. We try and give ourselves enough time without having the run or feel stressed, but still minimizing the wait time. * At layovers, we research in advance if there is an indoor potty area for dogs. If so, we take Sora there, time permitting. If not, we carry puppy pads. The goal is to try and get Sora to go inside the airport and we quickly wipe up the pee with the pads. We have trained her to know the command “go potty” so that she understands we are asking her to do this. We can coach you on how to do this if you’re unfamiliar. I’ll note that Sora refused to go one time and we knew she had to go, so I found a low traffic area of the Frankfurt airport and started jogging with her. That got her to go. * On the plane, we absolutely don’t let her go potty. That is where an ESA and you can get into some trouble. * Lastly, do not give your dog a lot of water. Yes, you can give a little as you don’t want dehydration, but the goal is not to pee. So in short, it’s all about the puppy pads and minimizing your timing. Any flights over 12 hours is a deal breaker for us and most airlines won’t let you bring a dog on a flight for that long. The requirements are strict and I would make sure you have everything figured out in advance. For example, what happens if your flight is delayed past 3 hours? Or your flight is cancelled? Hi! I stumbled on this blog while preparing to fly internationally with my dog, Perrie. She’s a 6lb Pomeranian who flies in-cabin. I have a few questions–we’ve flown with her before, but this is our first time heading abroad! Our final destination is Albania (TIA) and we’ve got two layovers: one in Ontario (45 mins), and one in Istanbul (4 hrs). Flying from DFW, and our longest flight is about 10 hrs. 1. She’s an ESA- even though she flies for free in the US, I went ahead and bought her a ticket for our flight(s) abroad, just to be safe. She’ll be wearing her vest, though, and we have her ID card on her bag–does her ESA documentation need to be translated? I’m not so worried about Albania, since we’re both fluent speakers and have family there, but our layovers in Canada and Turkey concern me. 3. In your experience, how has getting through customs been while abroad? Do you show Sora’s ESA paperwork? Do agents ask many questions? Thanks in advance for all your help!!! We’re flying Turkish Airlines if that helps at all…our trip is coming up quickly, and as excited as everyone in Albania is to see Perrie, we’re all pretty nervous about the journey! Loads of great questions. I’ll do my best to help out with the answers. We have not had the documents translated. However, it really depends on the country you’re going to for connections. For example, our flight to Europe via the US would recognize Sora as being an ESA, however, we’ve been told (and the rules changed after our last flight) that any further connections would require her to them fly cargo as it depends on your departure country and final destination. You don’t need a Passport. It’s just a book that keeps all your paperwork handy and by no means a requirement. You can simply have all the health records with you and present them. You’ll need to make sure you dog has all the appropriate shots for your final destination, in this case Turkey. So you should double check their requirements. There are plenty of websites that can also tell you the information, but it’s best to check with the government website(s). It’s been fairly easy for us. Most of the time the customs agents are curious and love your story, but it really can depend on the person and how their day is going. I wouldn’t worry too much, people fly with dogs all the time. It’s not like you’re traveling with your pet crocodile. Hi! We’re moving to Taiwan and bringing our 20 pound Basenji, Marshall. I’m really concerned about the long flight. We lived in Germany 13 years ago and brought our two dogs with us, but that was a direct flight from Atlanta to Frankfurt and a much shorter flight. As worried as I was about them then, that’s nothing compared to now! We will be flying out of Denver, have a long layover in LAX, a 15 hour flight to Hong Kong, short layover, and then a short flight to Taichung, Taiwan. Marshall is too tall for me to be able to bring him in the cabin so he’ll be underneath as cargo, which really concerns me as it will be about 24 hours travel time. I like your idea about the puppy pads in the crate….I actually found your blog as I was researching pet beds for international travel. Do you have any recommendations for this long flight? Also, I’m sure the answer is no, but do you think there’s a chance they’ll let me potty him at LAX? I’m sure they won’t let me take him out of the crate in Hong Kong, especially since it’s a short layover, but maybe while we’re still in the U.S.? I’m trying to think of anything that might make this a little easier on him. Thanks for your help! Hmm. Wow, you’ve got a long trip ahead of you! First, have you researched bringing Marshall to Taiwan? From my understanding, it’s incredibly difficult to import a dog there. I also see there is a quarantine and wait time for a titer test: http://www.pettravel.com/immigration/Taiwan.cfm. It’s important to ask the questions now rather than later. For the pee break in the US, once you put Marshall into a crate and submit him to baggage, then he’s out of your possession. Basically, you won’t be able to feed him or walk him. Some countries let the dog out and put them back in (we were told they do this in Frankfurt, DE) the crate. My biggest concern would be the temperatures in the cargo hold. HK can be very hot. So you’ll need to see when you’re flying and the average temps at that time. Also, having enough water available for 24 hours of flying would concern me as well. Some airports will refill it, but I think you’ll want to google the specific airports and confirm. Lastly, if feasible, you may want to book separate trips so you can let Marshall out. For example, DEN > LAX. Then fly separate from LAX to HK. The puppy pads are great and it helps the dog feel they can go to the toilet. You CANNOT medicate the dog while in the crate as the changes in pressure can affect the dog. My other advice would be to research your airlines for their scores with travelling with animals. You can see if they’ve had any issues with flying animals or you can make sure they pressurize the cargo area with climate control so animals don’t get hot. Lastly, you can tell the stewardess on your flight to let the captain know you’ve got a dog in the cargo. They can control the temperatures maybe be a little more careful. Let me know how else I can help. I wanted to know how it went? I am planning to bring my lab to taiwan. Im very concerned but I’m doing my best to keep positive. I’ve already done the titer test and working on the health cert and import permit. We’re traveling from nyc and I thought it best to be direct as it’s total time in transit is shorter and I don’t want her waiting somewhere in a layover. Direct is about 16 hours. What was your experience? Thank you for all of this information! My husband and I are moving from the United States to New Zealand for three years and we are bringing our dog with us. We have already started the process to get her through but my biggest stresser is the travel. I will be flying a more direct flight then my husband so Arya (our pup) won’t be traveling for longer than needed and I can stay with her plains. The hardest thing is that it sounds like I wont be allowed to take her out myself to walk and let her pee? I was hoping to get that chance before the international flight out of the US so I can love on her and make sure she is ok before the 12 hr leg. I would most likely be flying Denver to San Fran to Auckland to Christchurch with 2 hr layovers at both stops. You guys are the only good source of information I have been able to find on what it is like to travel with a dog internationally. Is there anything from your experience that you can tell me as far as layovers? Sounds like an amazing adventure you have ahead of you. I (Jen) lived in New Zealand for six months many years ago and I would love to get back there. It’s one of my favorite places in the world. I don’t think that you will be allowed to take Arya out for a walk and pee during your layovers. We were worried about this as well, since Sora can be mistrusting around people she doesn’t know, but as far as we know, all went well. I know I said this in the post, but don’t be afraid to check on her several times during the layover and tell everyone working with the plane that your dog is in the cabin. We haven’t looked much into New Zealand because of the quarantine, but I do remember while I was there that people suggested traveling through Hawaii to break up the trip. I’m pretty sure Hawaii also has quarantine, but I think it’s shorter maybe? I can’t remember the exact details, but I remember that it sounded like a better option. This was over 10 years ago, so I’m sure there are new rules by now, but wanted to put it out there as an option. You might want to reach out to Flightless Kiwis (https://www.flightlesskiwis.com/). I haven’t met them, but friends did while they were traveling and I think they just went through the process of taking their dog back home to NZ from Central America. They’d be great to talk to since they just went through this. Basically, if you prepare in advance, you can skip the quarantine period in Hawaii with Direct Release. Since Hawaii is rabies-free, you can then forgo the quarantine in NZ. Hope this helps people in the future! I had the privilege to travel through the South Island for a month last year, and it was absolutely gorgeous, 10/10 would recommend. Since NZ has a lot of issues with invasive species and high tourist traffic through their parks, I’m not sure about park dog policies (I didn’t bring my pup along), so I’d be sure to check on that if you’re planning on a vacation rather than a permanent move. Thank you so much for directing me to that article! I have plans to write a post about quarantine and this will help tremendously. I used to live in NZ (in Wellington) and got to explore much of the country. It is truly beautiful and I hope to return again one day soon. Hello! This was so much help! I’m planning on travelling with my dog from U.S. to South Korea next year and I’m very nervous since it’s a really long flight! (About 14 hours) Would you happen to know if the dog’s age matters? Because my dog is about 10 years old, so I’m worried that she might be more fragile. I’m trying my best to find ways to make her flight comfortable and safe. Have you traveled that long with your pets before? I’m planning on getting flights where my dog can rest in between. Hi Jiyeon, We’re nervous about flying with Sora no matter the length. Of course, longer flights are definitely more stressful. Age does matter, but what matters most is the health of your pet. We’ll be flying about the same distance with Sora this spring and she is 13. Talk to your vet before flying, but my understanding is that as long as they have no underlying health issues, especially heart problems, the you should be ok.
We have traveled with Sora from Germany to Argentina, and it was about 14 hours as well. We made her crate as comfortable as possible and just made sure to tell all of the flight staff (at the gate, check-in, the pilot, the flight attendants, EVERYONE) that our dog was on board. Best of luck and let us know how it goes! Hi Jen, did Sora travel in cabin Germany to Argentina? We are relocating to Singapore from Chicago. We are flying UA from Chicago to San Francisco taken a 10hour lay over so that we can feed, exercise, our 3year old Cavalier King Charles Spaniel. The flight from SFO to Singapore is 16 hours night flight. He is used to not going potty on weekends for about 13 – 14 hours at night especially during winter. I plan to put him in a diaper and hoping that he will go in the airplane bathroom on a pad- of course I will clean up well to be respectful to my fellow passengers. Any advice? Sora was not able to travel with us in Cabin from Germany to Argentina because Europe does not recognize Emotional Support Animals, so she went down below. We had a long layover in Frankfurt and then continued on our 12-hour flight to Buenos Aires. She was fine not needing the bathroom, and of course, we took her out to go potty as soon as we could. You seem like you’re pretty well covered with the diapers. Keep in mind that he will not be permitted to use the bathroom on the plane on a pee pad. At least on a Lufthansa flight we took (a different one), Sora was not allowed. You can try making friends with a flight attendant — that’ll be your best bet. We don’t let Sora drink water until we’re about 20 minutes away from landing and not too long before takeoff. Best of luck! Hi! i love this article. I have wanted an Australian Shepherd my entire life and now that I am nearing the end of college, I am really looking into getting one. I have done my research and am ready for the time, effort, and costs being an Aussie owner entails. My biggest hold back though is that I will be doing a lot of traveling within the next couple years, domestically and abroad, and throughout my entire life for that matter. But my biggest dream is to travel the world with my dog and so many people have told me it’s a bad idea so it is really inspiring to see the adventures you guys have gone on with yours. What is the minimum age you’d say is safe for an Aussie to travel at? I know this is kind of a vague question, but anything helps! Is there any special training I could do to prepare my dog for fight? I am going to be doing some studying in New Zealand for a couple of months in winter 2019 and and would definitely bring my dog with me. I am worried about the timing, especially because I plan on doing some backpacking trips, ect. while over there and am worried that it would be too soon for my dog to tag along. I am an experienced traveler, but not a very experienced dog owner. Overall, I guess I’m just looking for some general advice from experienced traveling dog owners like you! Thank you so much for any advice! Hi Kelly! I know that some airlines won’t allow dogs under a certain age to fly, usually six months, I think. Additionally, given that you want to go backpacking, I would say that your pup needs to be at least a year old. You have to make sure that their bones are done growing before you go out on any serious adventures together. The best bet is to talk to your vet about timing. As far as New Zealand, know that you will have to quarantine your dog for 10 days (I believe) and I’m pretty sure that both NZ and Australia require the use of an importer, which is very, very, very costly and time consuming. Perhaps consider adopting an adult (at least a year or two old) dog from New Zealand. We haven’t flown to NZ or Australia with Sora because of this issue, so we don’t know all of the details. It just sounds like a headache if you’re not moving there permanently or long term. People will always tell you that what you want to do is a bad idea because it’s out of the social norms. We think sitting behind a desk for our entire lives is a bad idea. Just do you and everything will come into place. I’m just planning a trip to the US from France, so I found your site. We have a 9 hour layover on the way back with Iberia. I have emailed them, and will call again. But do you know from anyone with experience, if we can get our dog back during the long layover then re-check him when its time for the last flight? Thanks for the info! That’s a really great question. I would assume that you would be able to do that, but it’s never happened to us, so I can’t say for sure. You could try posting the question in the Animal Travelers Facebook group. It’s a great group of people with experience traveling with their animals. I’d love to know what you find out! Hello! This is an awesome article. My husband and I will be traveling to Chiang Mai, Thailand in the near future with our two year old Italian Greyhound Momo. He is 12 pounds. I was wondering if you know what Thailand’s policies are about flying with an Esa on domestic flights there as we’ll be arriving in Bangkok before catching our final flight to Chiang Mai. Ive seen mixed reviews about service animals in the cabin on domestic flights in Thailand. Also best advice for a 14 to 15 hour flight is to make sure he goes before leaving as he wont be able to use the potty on the plane? It seems that Qatar airways is one of few airlines with decent prices that allows Esa’s in the cabin. China Eastern only allows direct flights of Esa’s and Air China charges a 600 dollar service fee for flying with a pet. Thanks for the awesome article! Hi Danielle! Unfortunately, we have not been to Asia, so I don’t know much about traveling there with a dog. It’s best to call the airline and ask the questions about their policies regarding ESAs. Try and do this several months in advance if you can, so you have time to prepare for anything they might require. As for the long flight, check to see if your departure airport has a dog potty area, it’s becoming more common. We also brought puppy pads with us to use during a layover and tried to get Sora to pee in an isolated corner of the airport. It ultimately didn’t work, and she just peed in the busy hallway right before our flight, but we tried! Since your dog is a male, he might be more inclined to pee in a strange place. If he doesn’t already have a “go potty” command, try and teach him one before you fly. Again, Sora does know the command, but still got stage fright once it came to peeing in a weird location. The truth is, it’s just a bit tricky on these long haul flights! I’d be interested to learn what you find out regarding flying to Thailand and best of luck with your travels! Thank you for this wonderful, informative site! I love that your most recent post was just last month. Most stuff I’ve found is ages old and not exactly relevant. My husband and I will likely be relocating to the UK in late 2018 for post-graduate school. We have two dogs we will be taking with us. One is younger, only a year and a half, but the other is older, about 12. We’ve already discussed the move with our vet who is in the military and works transporting animals all over the world, and she says both are fine for travel at this point. My question is in regards to airport location. We live in Arkansas, so our nearest international airport is Tulsa, OK. The typical flight schedule is about an hour or hour and a half flight for the first leg, couple hour layover, then eight to nine hours for the second leg. My question is would you recommend driving to an airport that can do a non-stop flight, or would that put further stress on the pups? Looking forward to more from you and Sora!! How exciting for you and your husband! I wouldn’t be too worried about the longer flight for your younger dog. We’ll also be flying to Europe soon with Sora, who will be 13 in January, but she acts like a five year old. She travels very well and can hold her bladder for long periods of time if she needs to. So I guess it depends on what sort of life stage your older fella is at. I tend to think that a layover is better than a long flight because (supposedly) the airline will take your dog out of the kennel and give them a potty break, walk, water, and food. You’ll have to check with the airline to see what their services are in that regard. We have traveled with Lufthansa and that was the case with them. If I were you, I’d look for flights from Arkansas to Miami, New York, or Washington, DC and catch a direct flight to London from there. That breaks it up nicely and I think will be less stressful for Stiches and Scully. My friend Staci from Staci & Co (http://staciandco.com/) @staciandco on Instagram travels regularly with her dog, Kendall from PA to London. She would be a great resource for you and would be happy to help you out, I’m sure. Just tell her that I sent you along! We try to always choose a layover when possible. Remember to consider that the flying time might be 9-9 1/2 hours, but you also have to factor in the time spent before and after the flight, which can tack on several more hours. I’d try to see if there is a layover of a few hours in the NY-area to give your pups a break and let them stretch and go potty. Check with your airline and the airport to make sure there is either a dog relief area, if they are flying in cabin with you or that the airline staff takes them out during the layover. 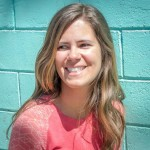 You can also reach out to Staci of Staci & Co (http://staciandco.com/). She has flown with her yellow lab back and forth between the US and the UK several times! What do you guys do with Sora’s crate between flights? Do you buy a new one every time? I’m looking into flying to Caracas, Venezuela, riding around for 4mths, then flying out of Rio. If I were in the US, Id find a place that would hold it in Rio and mail it there, but idk if that’s plausible cost wise or culturally. My dog is a 45lb Vizsla, so bringing the crate on tour isnt really an option. Sora is a registered emotional support animal, so she has only had to fly in a crate once with us. Since it was one way, we exchanged the crate at a veterinarian in Buenos Aires in exchange for services and supplies. One option you might have in South America is to send it to somewhere (like a hostal) in Rio via bus. I don’t know if they do this in Venezuela, but in much of South America you can send items as “encomiendas.” Look into the option at bus stations. If you can’t send it internationally, send it to the closet point to the border and adjust from there. I think it’s not a problem culturally at all. South Americans are super friendly and happy to help. Hi. I’m looking for words of advice about traveling from Oslo, Norway, to New York with a 4.5 month old border collie pup. I’m assuming she’s going to be too big for the cabin, so will have to be in cargo for the 8 hour flight. We live in Bergen, but will take the train to Oslo so that we can get a direct flight on SAS. (SAS allows dogs over 14 weeks on their flights.) Am I asking too much of such a young dog? SAS assures me it will all be fine. If I decide to go ahead with the trip, do you have any advice for additional preparations for puppy’s well-being and comfort? Thanks! I don’t think that you’re asking too much of your pup. If it’s possible at this point, I would recommend staying overnight in Oslo before your flight and making sure she gets a ton of exercise before you board your flight. Start getting her used to her kennel now by feeding her and rewarding her in it so that it’s not a new scary thing that she has to be forced into on the day of the flight. She needs to see it as a safe space. Best of luck! Hello, does anyone have any information on dog travel international insurance? and I’m also looking for dog international pet insurance does anyone have any leads? Just curious, why do you want pet insurance? From my experience in the US, it wasn’t worth the cost. Wow. So much info. Thank you all. One answer I was looking for though. I am taking my 34 lbs mix (Luna) from Charlotte NC to Frankfurt Germany. I would like to check her but my fear is that I will book my flight a few weeks ahead and then try to book her 10 days before (I cant seem to book her any earlier) and the airline might tell me that they don’t have any more space for her. Then what. I will not fly without her but will risk loosing a lot of money. How did you all overcome this obsticle. We have yet to be rebooked on any flights due to traveling with Sora. You should always call the airline as soon as you book and let them know you’re traveling with a dog. As long as you do your best to let them know as far in advance, then you can’t really do anything more. One recommendation we have is to usually work with a different service agent at the airline who handles special requests and animal bookings. This person usually has better access to helping out than the standard customer service representative. Who are you flying with? I may have the email address already. Firstly fantastic article and blog. I’m so happy to have found it. I plan on moving back to Australia in January after 10 years in Canada and want to bring my 5 yr old dog and this is really clarifying a lot for me. I read in one of the questions and answers that Australia requires an importer. What exactly is that? I still have a lot to research as far as flight times and airlines but I have started the vet process and am using the instructions from the Australian site. Thanks for your time! So glad you found this post helpful! We haven’t been to Australia or another country that requires quarantine and/or an importer ourselves, so I can’t give you absolute answers. Basically, from what I understand, an importer is someone whom you pay a ton of money to import your dog into the country. I think you meet them at the destination airport, which in your case should be Brisbane, I believe since that’s where the quarantine center is located. I have plans to write a post on taking a dog to countries like Australia, but haven’t yet gotten there! In the meantime, I would recommend joining the Animal Travelers Facebook group and asking there. There are a couple people in the group who have gone through this and can be of more help! This is very useful, thank you so much! My dog is 9 months and 11 pounds. He is a Havanese. I am thinking on tacking him on a long haul flight with two layovers that will last 19 hours and 15 hours return (he will be 11 months by then). I am worried that this would be too much for him for just one week in the US with my family, but I would love it if they could meet him. I was wondering if you had any tips for when you take the dog with you in the cabin. Specially related to relief areas, I will be travelling through Amsterdam and Paris, not sure what is the process in Europe. Regarding the kennel, I have read the requirements and looks like they want a soft kennel. Travelling would be with Air France, KLM and (unfortunately after reading your post) Delta. I’m so sorry I’m just seeing this post now. It will definitely be a lot of travel, but he’s young, so it’s not too worrisome to me. We usually travel out of Frankfurt with Sora, which doesn’t have a pet relief area, as far as we know. We carried around puppy pads and tried to get Sora to go on those. We walked around a bit during our layover and tried to stick to less trafficked areas. She ultimately went on the floor, but we used the puppy pad to quickly clean it up. You should be able to check online to see if there is a pet relief area in your airport. We want to take our two shih tzus to Zermatt, Switzerland for our wedding. Is there a private charter company you would recommend over the standard airlines? Congrats on your upcoming wedding. We have never looked into private charters, so don’t know anything about them. Sorry! Flying anywhere domestically or internationally is fun. Great article though. I have an esa letter for flying for my terrier. Got it through telemedicine through this website myesadoctor. My first flight i was a bit nervous but everything went well. I believe the owner of the esa should be responsible enough to make sure other passengers dont feel uncomfortable or threatened. Great work though. Keep it up. Thanks Andrea. It’s always a bit nerving at first when flying with your pup. Glad things went well. Hey Jen, my partner and I are seriously considering moving to Australia permanently within the year. We have 2 large dogs. A rott , husky mix at about 150 lbs and a rott, lab mix at 90 lbs. We would be flying from Ohio to Australia. A very long flight for them. Will their overall size be a problem for an airline ? Would it be safer for them for us to fly them over there privately ? First, I believe Australia and NZ require you to use an importer. This would be the first thing to investigate as they handle the import/export paperwork. Second, that would be a very long flight for any dog. I would ask the importer first as they can give you the best information.